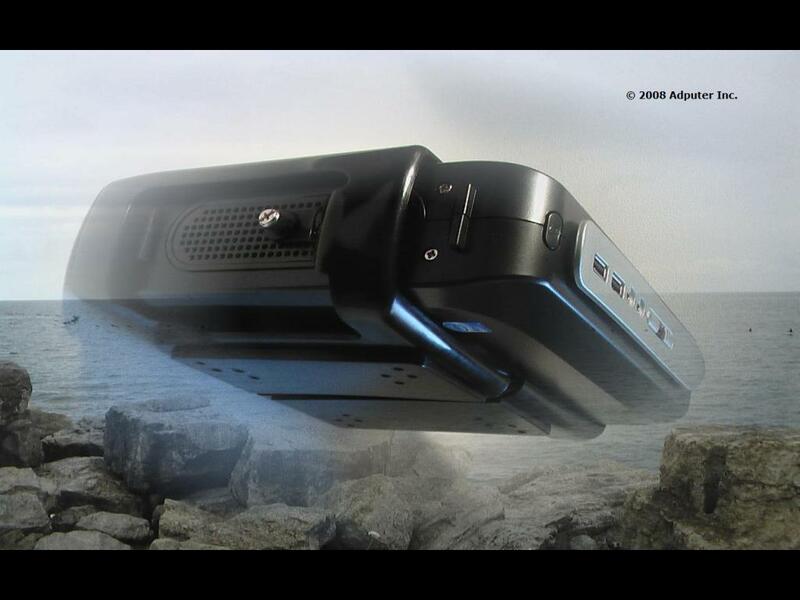 A digital model designer and media solution provider. Janurary 22, 2019, Toronto, Ontario. Adputer Inc. expanded its digital media organizer on Apple TV to iPhone mobile application. As a universal media organizer, it can work for iPhone, iPad, iWatch, and Apple TV in one app. You can watch live streaming videos and short videos as well as long movies online. Using touch screen as controller, anybody can operate easily. Is this a phone or TV? April 9, 2018Toronto, Ontario. From algorithms to manifolds then to 3D models and 3D printing, Adputer Inc. created a new method and process to make physical objects. The Adputer Manifold White Book describes our manifold innovation and possible applications in Industrial Design and Additive Manufacturing. That is just the beginning of Industry 4.0. March 29, 2017Toronto, Ontario. Designed by innovative manifold generation technology from Adputer Inc., the Snowflake like and Trefoil Fidget Spinners are first products sell on Adputer's Etsy online store. Adputer Inc. 3D Shop. August 11, 2014, Toronto, Ontario. Adputer Inc. released Adputer Smart Screen, an all-in-one digital signage display, includes an Open Pluggable Specification (OPS) module inside an industrial-class LCD FullHD display and Windows 7/8, Media Center, Video Mixer software to generate attractive advertising effects. more. September 27, 2013, Toronto, Ontario. Adputer Inc. worked along with Verizon Wireless, the largest commercial 4G LTE network carrier in United States, provides Adputer™ ServiceLTE Standalong and Adputer™ ServiceLTE Hotspot 4G LTE wireless services for Digital Signage Solution in United States. This is a step forward of Adputer Inc. on mobile solutions and services of M2M and Internet of Things. August 22, 2013, Toronto, Ontario. Submitting your floor plan Adputer Inc. can help you figure out your WiFi coverage and device installation for Adputer Network in your digital signage project. Contact sales@adputer.com for more details. 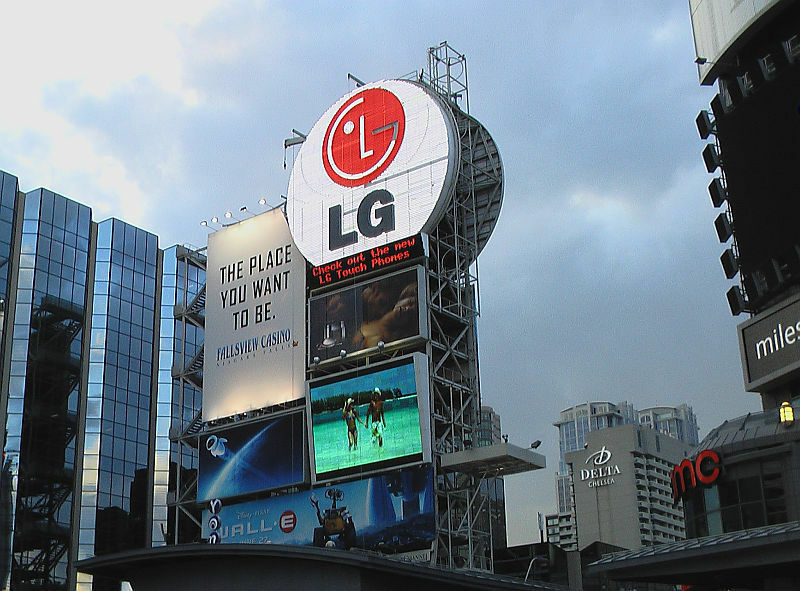 Digital Signage is a technology that replaces traditional printing signs by dynamic signs with LCD screens, Embedded Computer Systems, and Network. Adputer™ Sign below is a computer system with a LCD display and a stand for Digital Signage Advertising. The Digital Signage System can deliver vivid motion pictures and crystal clean pictures to capature consumers' attention instantly. In addition, advertising can be upgraded, distributed, and expressed effectively through Digital Signage Network. Operations manager Wayne Adamczyk who has managed McDonald's stores for more than 30 years, said he wanted to give the signs a Las Vegas feel, with lots of color and motion. Retailers should use Digital Signage as a strategic tool "to drive consumers into purchasing categories they weren't going to consider, like higher-margin private-label products." For example, Tim Hortons' use of 42-inch plasma screens to promote coffee-and-doughnut combos in the morning and lunch specials at noon. Adputer™ Solution for Digital Signage is a HD Stream Media Network. The network can be connected through coax cable, ehternet, wifi, or 3G/4G wireless. The components of Adputer™ Solution consist of Adputer™ Player, Display, Network, and Station. Each Adputer Player is linked to a LCD screen. Adputer™ Station works for management of programs, contents and devices, plus video processing and publishing. User can manage Adputer Players remotely. Adputer Station accepts media from multiple sources such as camera, TV, or files and generates attractive advertising video by mixer. Then the video is compressed, transcoded, and stored in media server for publishing. In the case of broadcasting, the stream media is going to be sent directly. Architecture Diagram of Adputer Solution for Digital Signage. Users can select various LCD Displays. Commercial monitors are expensive but have longer life. Consumer monitors like HDTV are economy. Users can install their LCD displays and Adputer Players on the back of displays with VESA mount. One benefit of Adputer Solution is that users can broadcasting their own High-Def contents and ads free without bandwidth charge in their own local area networks. Adputer Station acts as a local broadcasting station. 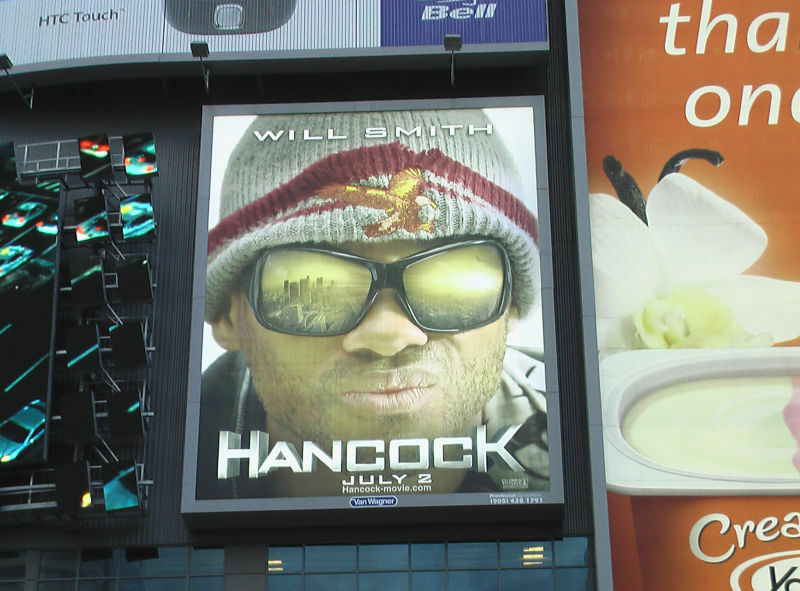 Unlike TV or web ads, Digital Signage Ads can bring rich visual effects to viewers. 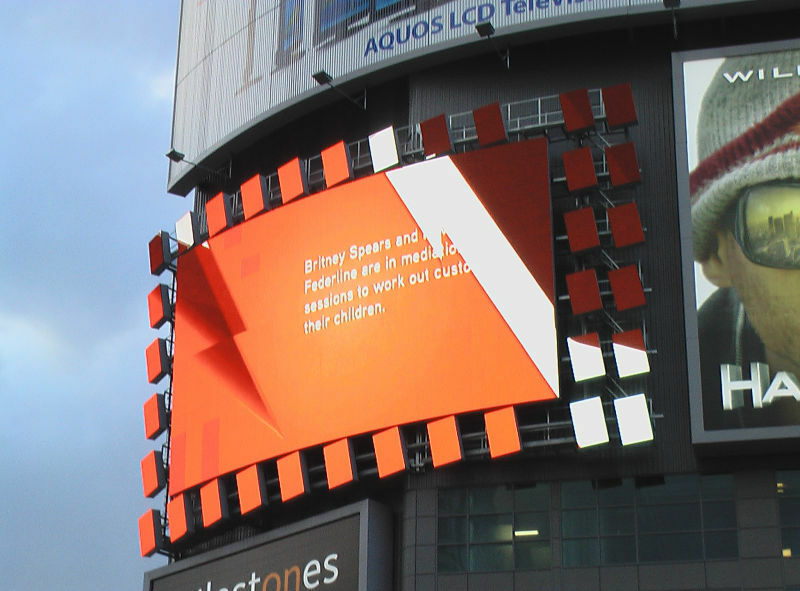 For example, Digital Signage focuses more on visual effects instead of sound. 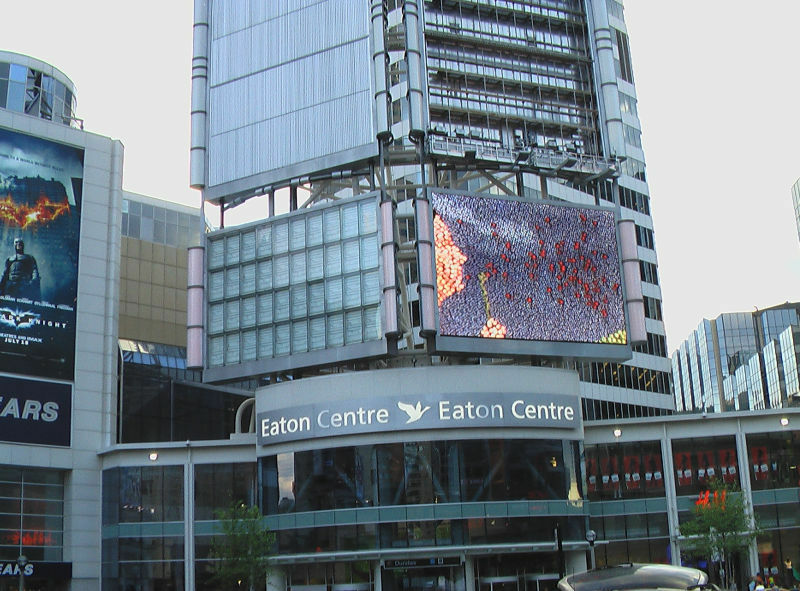 A Digital Signage System may have one or multiple large screens, animation text called ticker, and multiple seamless zones. Furthermore, it may have remote wireless or internet access and control. The famous AIDA Formula in the advertising represents Attention, Interest, Desire, and Action. Attention is the process of turning one's mind to a particular activity. Media illustration is to obtain interest of viewers. Desire fills a particular need. Action causes the viewer of ads to go ahead. 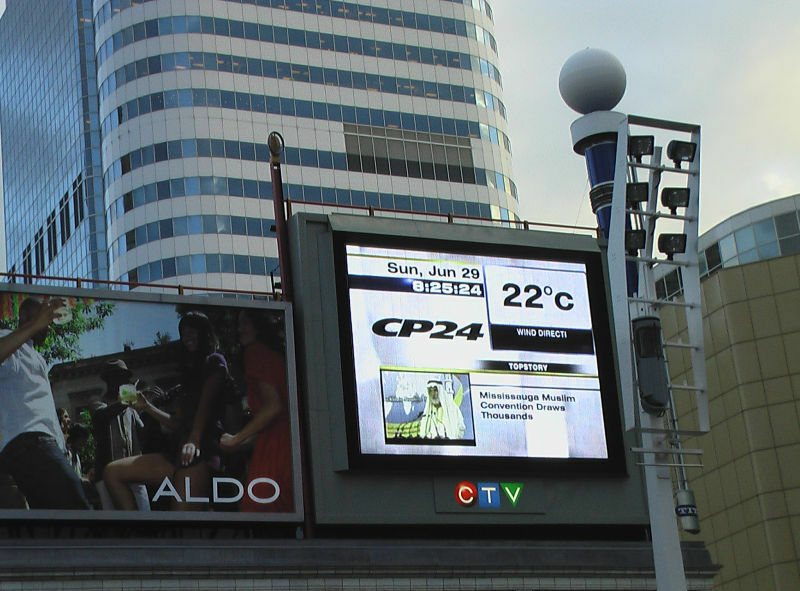 Advertising elements in the Digital Signage are designed around the AIDA formula as well. Headline is to gain attention of viewers. It may include product or company name, command, question, superlative, and product advantages. Usually headline uses big font and animation texts. Illustration is to obtain interest of viewers. There are video, photograph, drawing, and sketch. Copy tries to change wants into needs. It creates desire to buy, look into, or pursue. It is the written part of the ads, explicit and implicit meanings of words. Signature leaves the information of who and where as well as product name, trademark, or company logo.